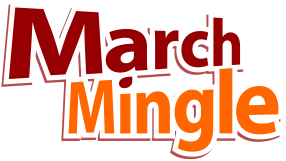 March Mingle is Tuesday, March 29th,2011 at URBN North Park from 7:00 pm to 10:00 pm. Parking can be tough in North Park, fortunately Tuesday is an off night for the area. There’s some parking on the surrounding streets and at the parking garage on 30th. Also there’s $1.00 parking at the CVS Pharmacy on 3151 University Avenue. Advance tickets via EventBrite are $10. Tickets at the door are $15 and cash only.